Mission firefighter Homer Salinas received good news last week: A judge ruled in his favor that the city of Mission’s insurance carrier should cover the costs of his kidney cancer treatment. The legal fight, however, is far from over, according to the state’s firefighters union. 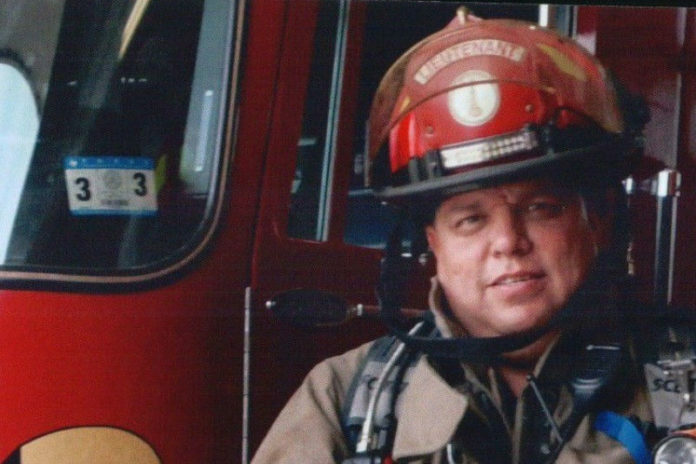 Salinas, 48, who joined the Mission Fire Department as a volunteer firefighter in 2002 and worked his way up to his current position of lieutenant, was diagnosed with renal cell carcinoma in October 2017 and filed a worker’s compensation claim with the city’s insurance carrier, the Texas Municipal League Intergovernmental Risk Pool (TMLIRP). TMLIRP denied the claim last November on the grounds that his October 2017 diagnosis was not job-related. Salinas appealed the decision. On Friday, he received notice that Texas Department of Insurance Administrative Law Judge Julio Gomez Jr. ordered the insurer to pay for his cancer treatments in addition to unpaid income benefits covering a four-month period, from January through May, when Salinas returned to work. The judge cited studies by the International Agency for Research on Cancer showing that firefighters are at increased risk for several cancers, including kidney cancer. The state’s firefighters union alleges the city’s insurance carrier denied Salinas’ claim without reviewing supporting evidence, a common practice given that approximately 91 percent of Texas firefighter cancer claims are initially denied, according to a TSAFF news release. It’s unclear whether TMLIRP will reimburse Salinas for deductible payments associated with his treatments, said Glenn Deshields, TSAFF’s legislative director. While the Texas Government Code — which states that public safety employees are entitled to receive medical treatment for diseases to which they were exposed to during their employment — is in Salinas’ favor, Deshields said the insurance carrier does not want to lose this case and has the legal backing to keep fighting it. In 2017, TMLIRP paid more than $17 million to attorneys it hired to represent it in lawsuits challenging its claims, according to Deshields, citing information he obtained through an open records request. The city of Mission announced in February that it was considering taking legal action against its insurance carrier if Salinas was denied coverage, but Deshields said that when cities contract with TMLIRP to provide health insurance for city employees, they essentially give up their right to determine what type of medical care will and won’t be covered.